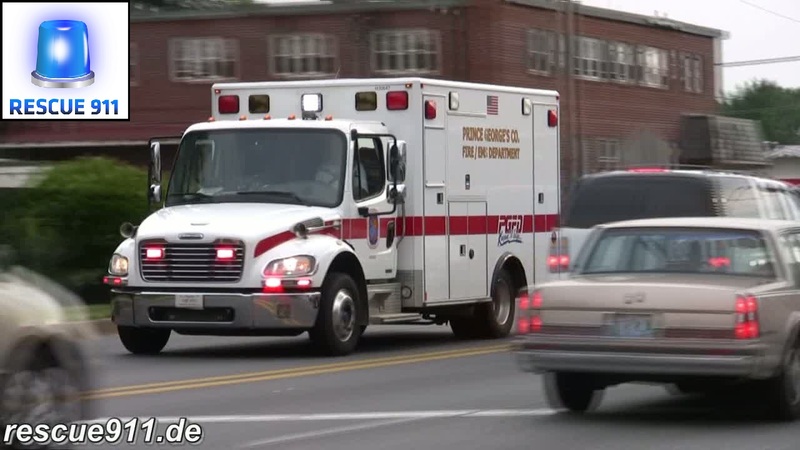 Ambulance 249 (radio call sign 824 at that time) of the Accokeek volunteer fire department (company 24 inside the PGFD) responding to the hospital along with a PGPD police car. Listen to the interesting siren combination: the ambo is using the PA300, the electronic Q and its airhorn at the same time. 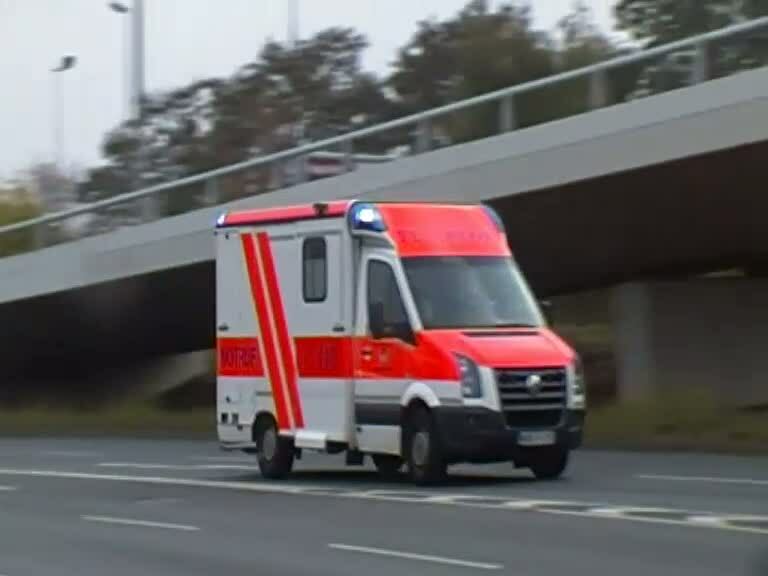 Der Rettungswagen 249 (damaliger Funkkenner 824) der freiwilligen Feuerwehr Accokeek (Teil des PGFD) auf Anfahrt zum Krankenhaus und eskortiert durch einen Streifenwagen des PGPD. Man beachte die Verwendung der verschiedenen akustischen Warnsignale.